Law enforcement officials took cover outside a SunTrust Bank branch Wednesday in Sebring, Fla.
SEBRING, Fla. — A former prison guard trainee who recently moved to Florida from Indiana killed five people during a standoff at a small town bank before surrendering to a SWAT team that stormed the building, police said. 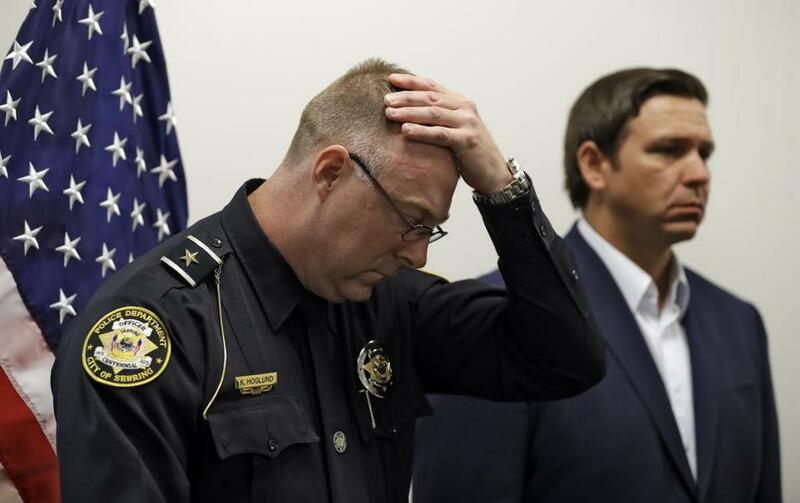 Sebring police Chief Karl Hoglund wiped his head as he listened to Florida Governor Ron DeSantis speak during a news conference on Wednesday. Florida Department of Corrections records show that Xaver was hired as a trainee prison guard at Avon Park Correctional Institution on Nov. 2 and resigned Jan. 9. No disciplinary issues were reported. Public records and neighbors said Xaver had arrived in Sebring last fall with his mother, living in a non-descript pre-fabricated home about 4 miles from the bank. No one answered the door Wednesday night after police finished searching the home. Public records and neighbors say he and his mother moved to Sebring in the fall from Plymouth, Indiana, a town south of Notre Dame University. 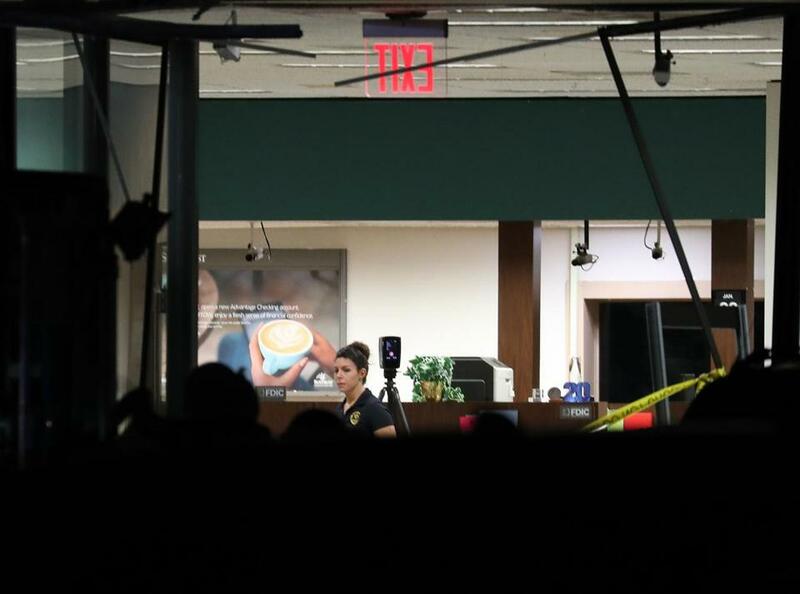 A law enforcement official investigated the scene where five people were killed at a SunTrust Bank. ‘‘Obviously, this is an individual who needs to face very swift and exacting justice,’’ DeSantis said of the suspect. The bank’s ‘‘entire team mourns this terrible loss,’’ he said.